Do your friends point and ask, "how'd this dent happen?" When they see your new car? Dent Terminator's Micro Kinetic Shrinking Process™ will put your car's metal back in place so gently, your paint won't know we were ever there. What Kind of Dents Are in Your Car? See pricing on small dents and dings the size of a coin. How much does hail repair cost? Larger Dents take more skill. Here's how they are priced. Fixing Your Dents Should Be Fast and Easy! 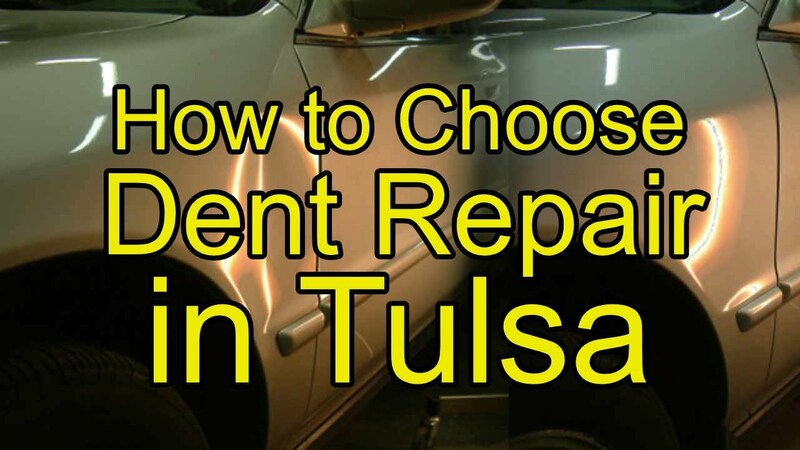 What if your dent could be fixed in one day or less, for a fraction of the cost to paint it? You want that dent removed but a conventional body shop repair is $500.00 to 1500.00 or more per panel, and you can’t afford to be without your car for three days or longer. Dent Terminator can fix your car in as little as one day and save you money too. Plus, the factory paint stays intact. You keep your original paint warranty and the rust and chip protection only the original paint can give. Call today for your free Five Point Damage Analysis of your dent and you’ll know exactly how much money and time Paintless Dent Removal by Dent Terminator will save you. Or, text a photo here. Repair was nothing short of miraculous (aluminum F-150)!!! Does fantastic work. Took my F-250 to the guys at the Dent Terminator after the Oklahoma wind caught my friends door, slamming it into my truck. I wasn't sure if they could get it fixed. I will say, the repair was fast and exceeded my expectations. The truck is now perfect again. These guys do great work. I came to th Dent Terminator because of the reviews I read online. I am very pleased and will use them again if the situation arises. The Dent Terminator team was a pleasure to do business with. They were able to schedule me quickly. They allowed me to watch them as they worked, while we had an enjoyable conversation. They easily repaired a dent on my driver's side door in about 30 minutes. Would strongly recommend using this company. I had several dents in my car including a nasty one on the upper back side of my SUV - Tim made it look like brand new - we were incredulous!!! This is a much better option than body repair shops - quick, dents fixed while I waited and so much more affordable! Far exceeded our expectations - we are thrilled!